As has been presumed since January, Julius Genachowski, has been nominated to head the Federal Communications Commission in the US. 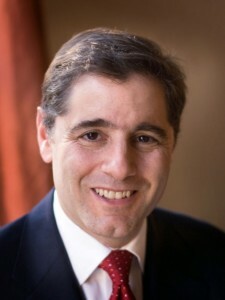 While Genachowski is considered by many a strong advocate of Network Neutrality (being the first FCC head to come from a former life in Sillicon Valey, as opposed to the usual broadcast executive route to the job) – some are asking questions why neutrality pledges haven’t been a bigger part of his appointment. My pragmatic opinion is just the reality that there are a number of interests that the Obama administration must court, and if your biggest complaint to date about Genachowski is that he’s someone who clearly understands the issues, the importance of the issues, and has vocally supported the cause in the past… but is less vocal now that he’s been appointed to a high-level government position… that’s still a pretty good day in Washington.